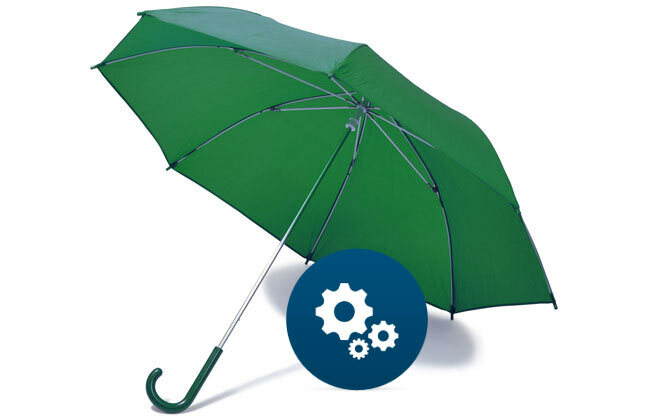 Rainmaking Made Simple…When You Have the Right Tools! Our Rainmaker’s Toolbox workshop provides an indispensable set of tools you can use to build a successful practice. This workshop focuses on the tools successful Rainmakers use to develop and deepen professional relationships in order to generate greater revenue and work satisfaction. Coupled with group or individual coaching after the workshop, the Rainmaker’s Toolbox is an exceptionally effective program to embed the Rainmaking Mindset in your team. Your professionals will leave with the mindset and strategies necessary to incorporate rainmaking into the way you do business. They will walk away with a renewed focus on collaboration and connection in the way they communicate both internally and with prospects and clients. 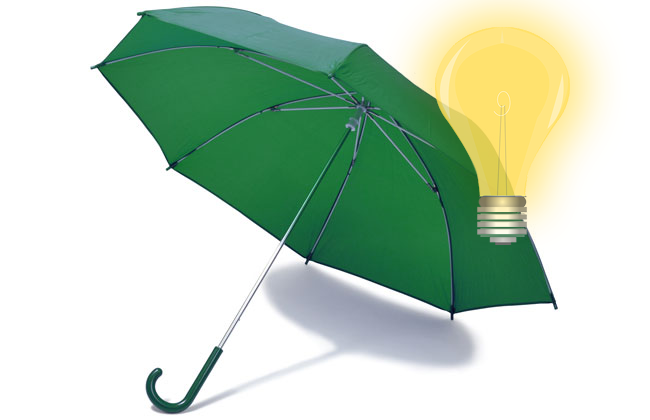 Embed a Rainmaker Mindset in Every Professional! Our Call to Action Workshop provides specific, detailed steps your professionals can use to build and deepen relationships within their existing network, expand their network and create systems for personal accountability in their business development. Learn not only what you should be doing, but exactly how to do it in a practical, useful way that has been validated through thousands of hours of our coaching experience. Motivating. Empowering. Practical. Every participant in our Call to Action Workshop is taught and commits to taking specific action steps unique to his or her practice that immediately results in deeper professional relationships with target clients. Your professionals will leave with field-tested tools proven by over 20 years of coaching Rainmakers to reach their full potential and a set of actionable steps to improve their success in networking. Using the Maraia Method®, every participant will learn how to unlock the power of relationship building to become true Rainmakers in their everyday practice. Complete our Call to Action Worksheet during the workshop which becomes your instant Business Development Plan to put into action that same day! Enjoy a fast-paced and results-oriented session focused on getting you to think and ACT like a Rainmaker before you even walk out the door. -The process of making a service that is hard to sell and turning it into a product that is easier to package, market and sell. -The innovative way to make it easier for clients to do business with you. Productization enables attorneys to speak the language of the C-Suite, packaging bundled turnkey solutions that address client needs in predictable and easy to purchase ways. Make it easier for clients to do business with you by productizing your services. Productization puts you on the leading-edge of innovation and competitiveness. Escape the billable hour, increase your pool of potential clients and with over 20 years of experience helping lawyers become great rainmakers, Maraia & Associates is a leader in business development training and coaching. Let us help you take your practice to the next level with Rainmaking Made Simple: Productization. Drawing on over two decades of experience in business development coaching, we will design a program for your professionals that is specific to your firm’s unique potential and the challenges facing your practice. Our coaches are master facilitators, who use practical, real-life examples and exercises to amplify the messages and themes of your firm’s gathering. Boost performance and get the highest ROI from those who take a workshop with one-on-one or group coaching after the workshop. 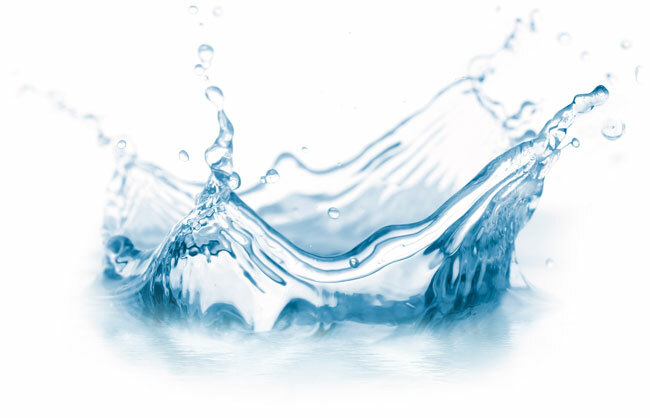 Our coaches deliver personalized support and provide accountability to ensure each participant understands and embodies the Rainmaker Mindset in all aspects of their practice. Explore the highly effective business development tools of relationship building covered in Rainmaking Made Simple and our popular Call to Action Workshop in an interactive, small group format. 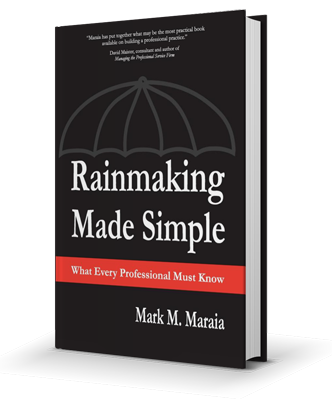 A great introduction to the Maraia Method® designed to get everyone Thinking Like A Rainmaker. 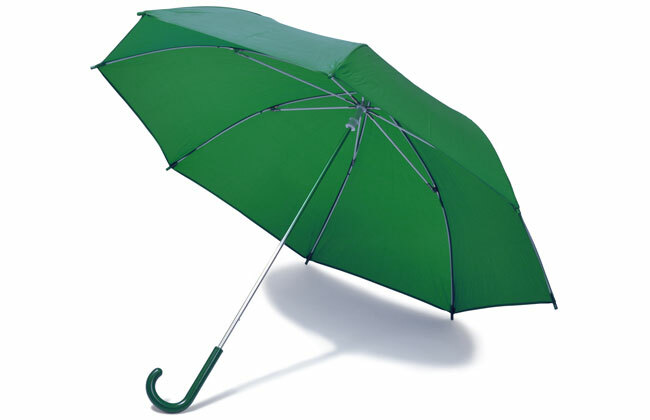 Is this your firm’s introduction to Rainmaking or do you have experienced Rainmakers who need to delve deeper into the Rainmaking Toolbox? We can customize the bookclub to meet your needs. Webinar – bring together professionals from different offices with no travel expenses!